1. Lightweight and easy grip: Even though the Precision Pro's are well-built, they are incredibly lightweight. They also come with a no-slip grip so that even in the rain, shooting the pin accurately is no problem. 2. Precision care package: This is perhaps the best perk of the product. They cover any performance issues for two years after purchase, and the battery is guaranteed for life. They also have terrific customer service, and if you have problems or questions an actual golfer with industry knowledge will provide you answers. 3. Accuracy to 1/10th of a yard: I know this doesn't seem completely necessary, but it's sometimes nice to know EXACTLY how far you are from a pin. If the pin is 158.5 yards away the Precision Pro tells you exactly that. Other brands would say 159 or even 160. 4. Adaptability: The NX7 Pro is an incredibly advanced model of rangefinder. It has a slope feature that can be toggled, as well as a mode that allows you to measure distance in either yards or meters (maybe your going to play in Europe?). 5. 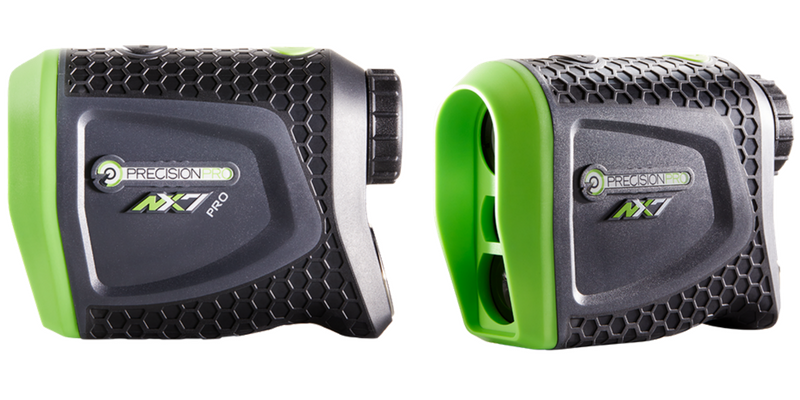 Weather-proof: With a Precision Pro, you never have to be concerned about taking your rangefinder out into the elements. They are water resistant, so even in the heaviest of rains you can get your correct distance. 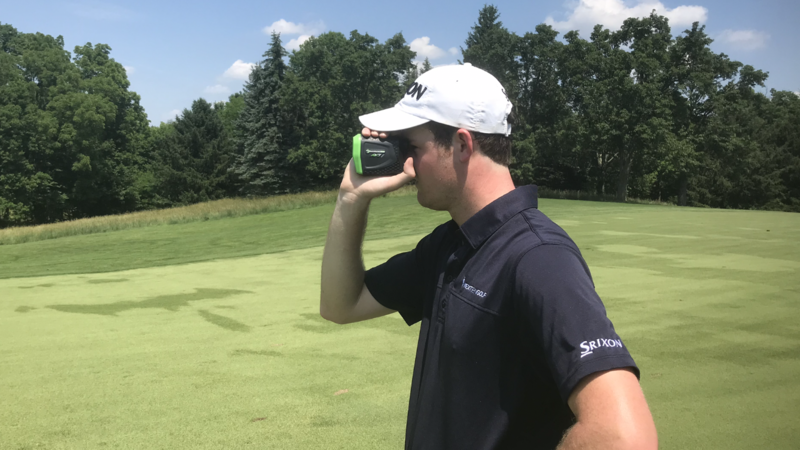 All of these things make Precision Pro rangefinders the best value of any brand. Whether you're a beginner or a seasoned vet, the reasonable cost and the outstanding benefits these products provide make it a perfect new addition to your golf bag. Order one today!